The Galileo FOC (Full Operational Capability) Satellites build Europe’s Galileo Satellite Navigation System to provide the European Union with an independent Global Navigation Satellite System. The project began the submission of concepts in 1999 before being officially initiated in 2003. Two experimental satellites (GIOVE-A and B) were launched in 2005 and 2008 to validate the in-orbit segment of the system as well as the ground-based architecture. Two pairs of Galileo-IOV (In-Orbit Validation) satellites, launched in 2011 and 2012, were used to demonstrate the finalized design of the navigation payloads and the operational capabilities of the spacecraft and ground segment. One of the IOV satellites has since failed on orbit. The five-billion Euro project is named after Italian astronomer Galileo Galilei and headquartered in Prague, Czech Republic with operations centers in Germany and Italy. 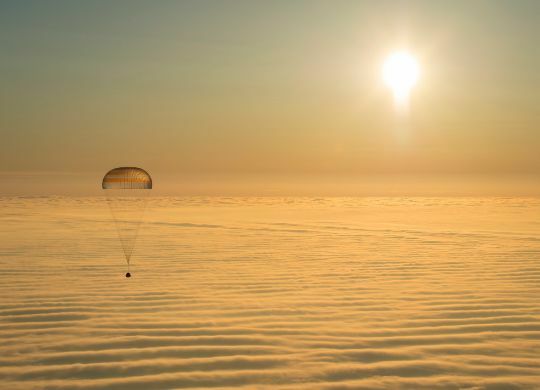 The overall aim of Galileo is to provide navigation services to European nations independent of GPS and Glonass services which could be disabled for civilian users in the event of war or other extreme situations. 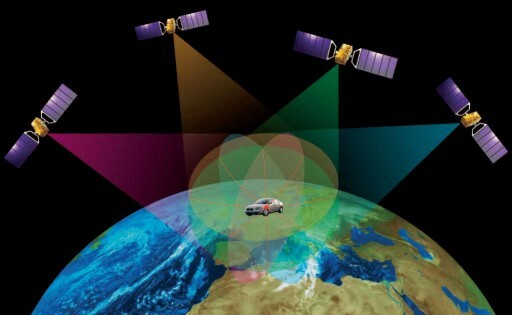 Unlike GPS and Glonass, Galileo will offer its highest possible accuracy to civilian customers. Galileo will provide horizontal and vertical position measurements with sub-meter accuracy. Basic services with a lower precision will be available for free and open to anyone with a receiver compatible with Galileo. Full accuracy services will be available for government and military users, but also to all paying commercial customers. The Galileo constellation also provides global Search and Rescue Function with feedback to the user. 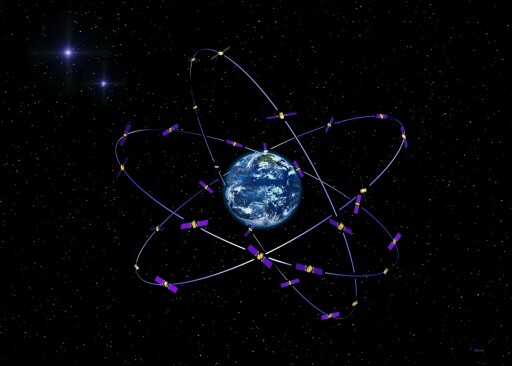 The operational Galileo Satellite constellation will be very similar to the American GPS, the Russian Glonass and the Chinese Beidou navigation systems – all operating by having spacecraft in different orbital planes in Medium Earth Orbit so that any given observer on Earth sees at least three satellites. 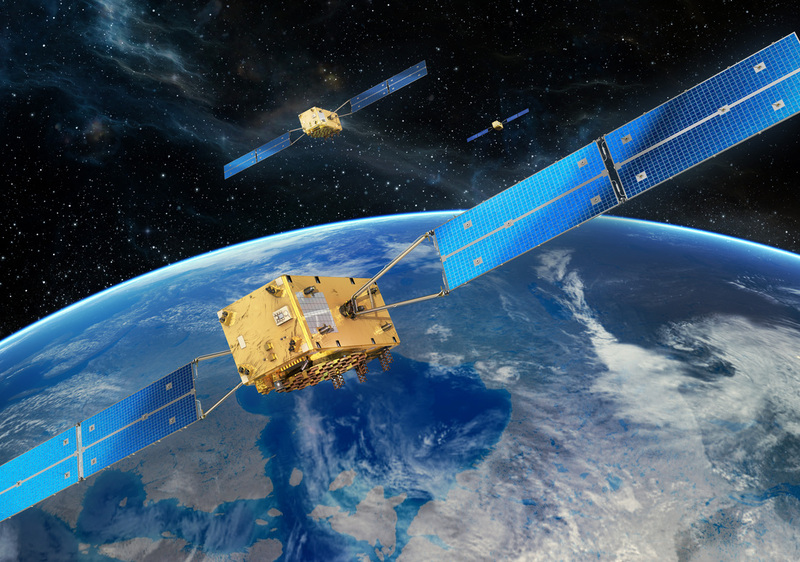 Galileo uses three orbital planes – spaced 120° with each plane containing nine active satellites plus one spare for a total of 30 satellites being part of the constellation at any given time. The Galileo satellites operate in an orbit of 23,222 Kilometers at an inclination of 56 degrees. This orbit is higher in altitude and inclination than that of GPS, Glonass and Beidou which enables Galileo to provide services at higher latitudes with more accuracy. 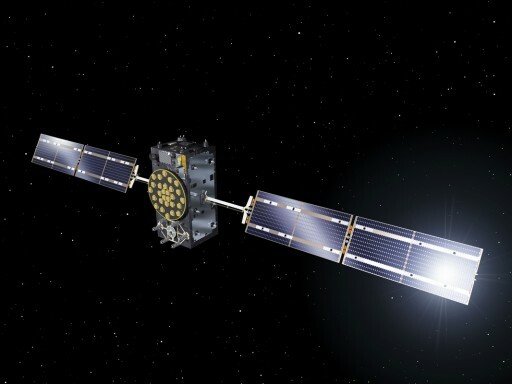 The Galileo satellites are built by OHB Systems while the payloads are manufactured by Surrey Satellite Technology Limited, SSTL. The initial contract for the Galileo FOC program called for fourteen satellites valued at a total of 566 million Euros, plus 397 million € for launch services provided by Arianespace. 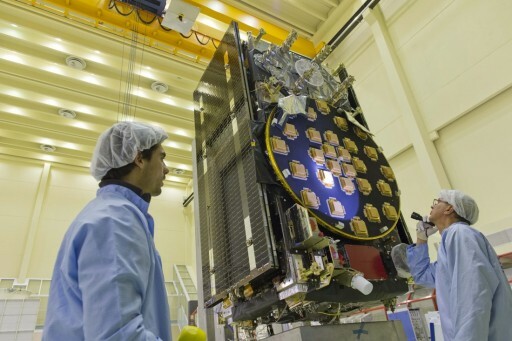 Eight additional satellites were ordered from OHB in 2012 for €250M. Serial production of the Galileo satellites suffered a one-year delay due to tooling and production issues, pushing the launch of the first two FOC satellites into 2014. The first 22 FOC satellites are booked for launches on five Soyuz rockets (two satellites per launch vehicle) and three Ariane 5 ECE vehicles (four satellites per launcher). Initial operations of the constellation will begin when the first 18 satellites are operational. Each Galileo FOC satellite weighs 732.8 Kilograms and measures 2.91 by 1.7 by 1.4 meters in dimensions when its solar arrays are stowed – the core satellite body is 2.5 by 1.2 by 1.1m in size. In orbit, with both arrays extended, the satellite has a span of 14.67 meters from tip to tip. The satellite consists of seven modules including a plug-and-play propulsion module for a simplified production and integration as part of the serial production of Galileo satellites. Power to the satellite is provided by two solar arrays, each consisting of two panels and employing triple-junction Gallium Arsenide solar cells for a total End-of-Life power output of 1,900 Watts. The solar arrays are installed on rotating booms driven by Solar Array Drive Mechanisms to track the sun for optimized power generation. Power is stored in a 3.8 Kilowatt-hour Li-Ion battery and dedicated power conditioning and distribution electronics condition the main 50-Volt power bus that interfaces with all satellite systems. Bus protection and battery management is also provided by the power system electronics. The satellites use a three-axis stabilization system featuring reaction wheels for attitude control as well as magnetotorquers for momentum dumps from the wheels. Navigation data is provided by coarse and fine sun sensors, infrared Earth sensors and a gyro unit that measures body rates. Thermal control uses passive multilayer insulation and heaters to keep all components at acceptable operating temperatures. Heat pipes and external radiators are used to radiate excess heat from the electronics into space. The Galileo satellites are equipped with a Hydrazine monopropellant propulsion system consisting of a central Hydrazine tank and two thruster banks, each containing four 1-Newton thrusters. The propulsion system is used for orbit adjustments and constellation maintenance, attitude control and the maneuver to a disposal orbit at the end of the satellite’s mission. The heart of the Galileo satellites are four clocks – two passive hydrogen maser clocks and two Rubidium clocks. The hydrogen maser clocks are atomic clocks that use the ultra-stable 1.4 GHz transition in hydrogen atoms to achieve a timing accuracy of under 0.45 nanoseconds of drift over a 12-hour period. 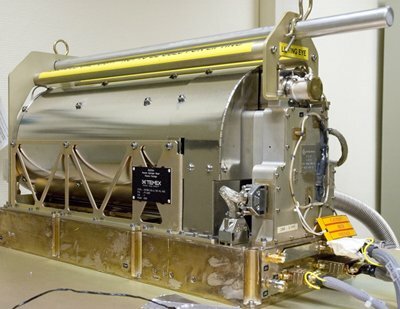 Rubidium atomic clocks are commonly used in space applications due to their robustness and reliability, but they achieve a lower accuracy of <1.8 nanoseconds over 12 hours. The satellites are configured to run one hydrogen maser clock in primary mode and a Rubidium clock as hot backup. Should the hydrogen maser encounter any problem, an instantaneous switchover to the Rubidium clock would be performed. In case of a failure of the primary hydrogen maser, the two spare clocks would automatically start up. On ground command, the secondary hydrogen maser could be activated to take over within a period of days as part of a highly redundant system that ensures that the satellites provide continuous timing signals. A Clock Monitoring and Control Unit builds the primary interface of the clocks with the Navigation Signal Generator Unit NSU. It validates that the timing signals from the primary clock and the hot backup are in phase so that the spare can take over instantly should the master clock fail for some reason. Galileo satellites use up to ten different signals in three bands known as L1, E5a & b, and E6 all in the 1,100 to 1,600 MHz range. This variety of signals is needed to provide the different Galileo services: open (OS), safety-of-life (SOL), commercial (CS) and public regulated services (PRS). Signals sent by the satellites include pilot signals which are data-free signals that only include a ranging code, not modulated by a navigation data stream. The ranging code is a Pseudo-Random Noise (PRN) sequence of 0s and 1s that allow the receiver to determine the signal’s travel time. Data signals include binary-coded messages containing information on the satellite ephemeris (position and velocity), clock bias parameters for error correction, satellite health status and other complementary information. Open Services are provided via the L1 and E5 bands – single, dual and triple-frequency applications are possible depending on the purpose of the navigation measurement. The L1 channel at a carrier frequency of 1,575.420 MHz includes a pilot signal (L1c) and a data signal (L1b) both used for open and commercial services and the safety of life services. The L1a channel is used for public regulated services. The L1 channel operates at the same frequency as the GPS L1 band. To avoid interference, Galileo uses BOC(1,1) signal modulation – Binary Offset Carrier of rate (1,1). Having both L1 carriers at the same frequency will make future use of the combined Galileo and GPS signals less complex. The open L1 signals use a code frequency of 1.023 MHz and a primary PRN code length of 4092. The pilot channel operates at 250 symbols per second and the data channel transmits a secondary PRN code with a length of 25. The L1a band uses a different type of BOC modulation known as (15,2.5) at a sub-carrier frequency of 15.345 MHz and a code frequency of 2.5575 MHz. The signal is encrypted to avoid unauthorized access. The E5a band at 1,176.45 MHz is divided into the E5a-I and E5a-Q signals for data and pilot signals. E5b is also divided into E5b-I and E5b-Q, using a carrier frequency of 1,207.14 MHz. The E5 band uses AltBOC (15,10) modulation, a sub-carrier frequency of 15.345 MHz and a code frequency of 10.23 MHz. The primary PRN code length is 10,230 and the data rates used are 50 symbols per second for E5a and 250sps for the E5b data channel with secondary code lengths of 20 and 4. The two pilot channels use code lengths of 100. Having different code lengths allows receivers to be optimized for their purpose and also allows single, dual and triple-signal operation which increases the accuracy of the navigation solutions. An issue for navigation measurements is the ionospheric delay that is introduced as the radio signals travel through the ionosphere. To account for that delay, single-signal receivers use models based on static data that can increase accuracy by a factor of two, but not eliminate the error entirely. Dual-channel mode allows the receiver to precisely calculate the ionospheric delay and subtract it to provide more precise data as the ionospheric delay is depending on the frequency of the signal. Triple-signal mode can yield even more precise data as larger frequency differences lead to more accurate ionospheric delay estimates. The E6 band containing three signals is used for commercial and public regulated services. E6b (pilot) and E6c (data) are used for commercial services using a frequency of 1,278.75 MHz. These signals use a primary PRN code length of 5115, the pilot channel operates at 1000sps and the data channel transmits a secondary PRN code with a length of 100. The two channels use BPSk modulation. E6a utilizes BOC (10,5) modulation and a sub-carrier frequency of 10.23 MHz. The Search and Rescue transponder of the Galileo satellite is capable of receiving distress signals from portable UHF transmitters operating at 406 MHz. Up to 150 active beacons can be received by one satellite simultaneously. The distress message is then modulated onto the L6 signal at 1,544 MHz and transmitted to dedicated ground stations with a latency of less than ten minutes. The position of the distress beacon is calculated with an accuracy of at least five Kilometers and can reach an accuracy of a few meters if the terminal is equipped with a Galileo receiver. Unique to Galileo is that the satellites provide feedback to the distress beacons acknowledging the reception of the signal. 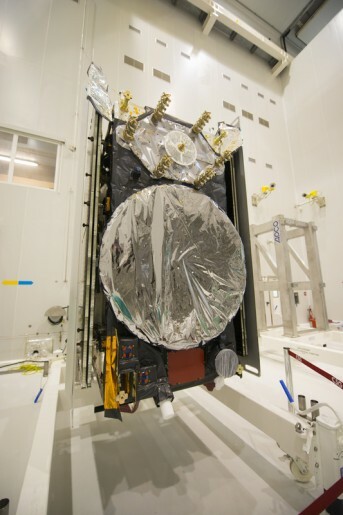 The Galileo satellites use S- and C-Band for housekeeping communications. Two S-Band antennas are installed on the satellite for the transmission of telemetry data to ground stations and the uplink of commands for satellite operations. 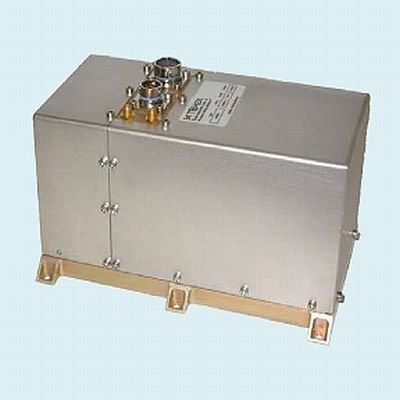 The S-Band terminal also receives and transmits ranging signals that provide precise orbit determination. C-Band is used to uplink mission data from Galileo uplink stations including clock bias data and integrity data about how well each satellite is functioning. These messages are relayed via the data signals in the navigation bands to allow receivers to correct for known errors.